State healthcare is a disaster – the NHS is an evil empire, the current batch of junior doctors show that it is near the end of the road. This is a very good, positive thing. 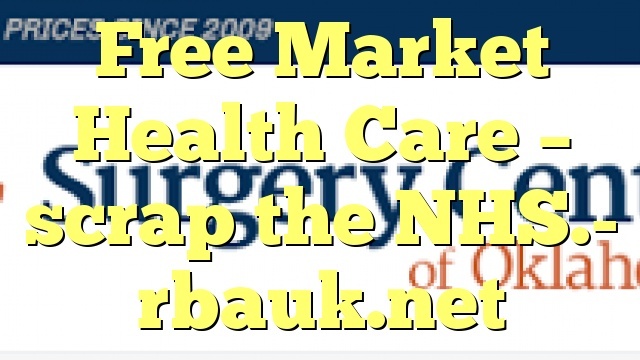 By opting out of the overly regulated medical structures (Medicare etc) prices have been put online and led to biding wars bringing prices down to where they should have been all along. 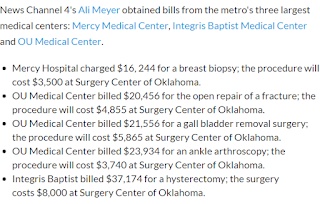 Their online price list is here http://surgerycenterok.com – although I think sometimes it is not available outside the US – maybe US advertising legal issues? Here are some comparisons. I selected this one pretty much at random from google as an example – they are religious organisations – legally religion is the only way of getting out from under the dead hand of state regulation… But they just pay towards each others healthcare bills as needed. 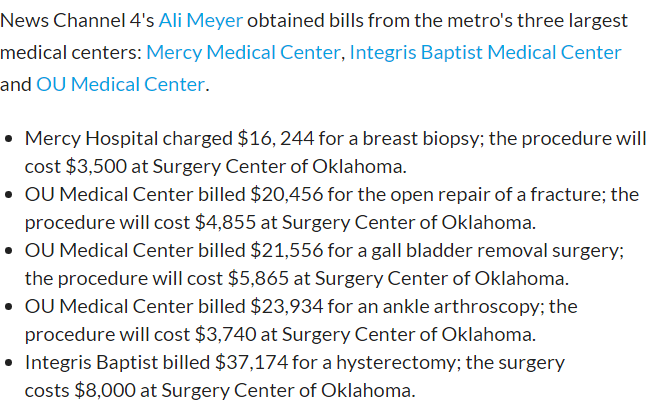 So you pay the best possible price for your health care and ‘self insure’ by sharing your bills with others. Minimal overheads, and all under your control. Whats not to like?